Conor McGregor is a superstar. 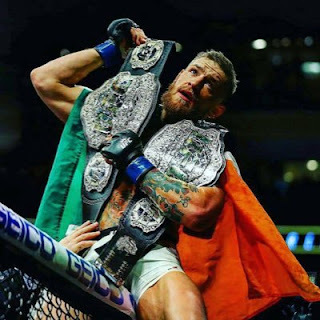 The only fighter to hold two belts in two weight classes at the same time in UFC history holds a special place in the sport. That fact cannot be refuted. However, Conor McGregor’s act is also growing old. Nearly 14 months after his last appearance in the Octagon, it’s time for the UFC to begin planning the promotion's next steps, and fight fans must accept the reality of the situation. McGregor last stepped into the Octagon at UFC 205 in November 2016 and snatched the lightweight title away from Eddie Alvarez. Since then, he’s gone on to leverage his way into a fight against boxing champion Floyd Mayweather, and even though that was a losing effort, he solidified himself as a star in the mainstream sports world. That has created the current stalemate he’s in with the UFC. The UFC needs McGregor. He’s one of the few driving forces behind the company's PPV buys. The WME-led organization clearly places a premium on entertainment value as a way to boost the revenue it generates, and "Revenue" should be McGregor’s middle name, as he’s coming off of headlining a boxing event that scored approximately 4.4 million buys. 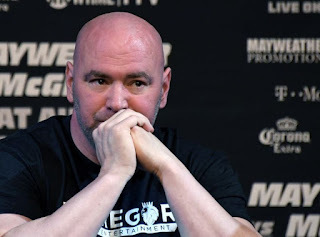 The UFC helped create this buyrate monster, but now the organization is struggling to get him back to the realm in which his legacy was minted. McGregor has made it clear that he expects his worth if he returns to the Octagon. That is the exact line that a prizefighter should draw; his goal is to earn as much as possible during his run as a prizefighter. He’s demanding to be “paid his worth” and for the promotion to “beg” for his return. And he should be paid his worth, because he drives a lot of business for the UFC. This is a point that’s hard to argue, regardless of whether or not you are a fan of the Irish competitor. But that doesn’t mean he should hold up the lightweight division. 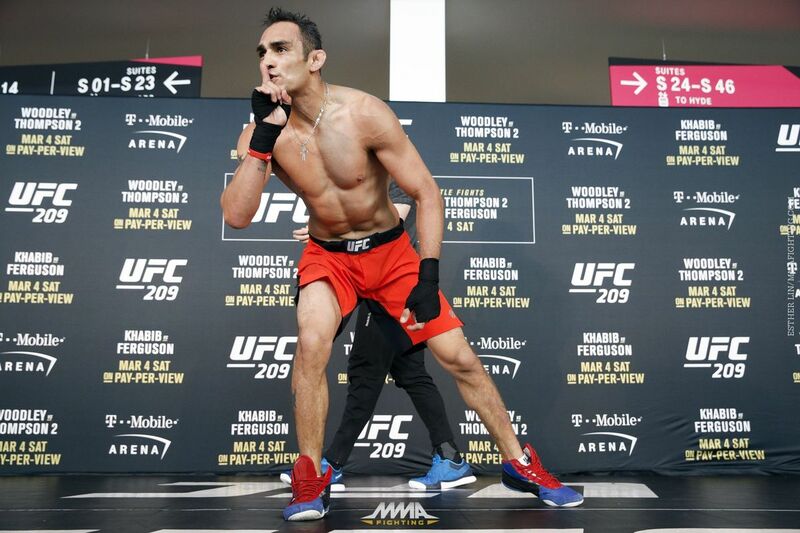 Tony Ferguson is the current interim champion. Khabib Nurmagomedov is coming off of a dominant victory over Edson Barboza at UFC 219. Both men are viewed as serious challenges to McGregor’s reign as UFC Lightweight Champion. Capturing that title creates the kind of financial opportunities that fighters are battling for each time they step into the cage. Higher Reebok payouts, bigger fight purses, and other incentives are directly tied to being a champion in the UFC. If McGregor is holding onto the title, refusing to take fights in favor of other opportunities that may come his way, he’s denying his peers the opportunity to improve their financial well-being, which is unfair for everyone else. The UFC is hampered, because it is missing out on the opportunity to market fighters as the champions they could be. Ferguson and Nurmagomedov are both championship-level fighters with big personalities. 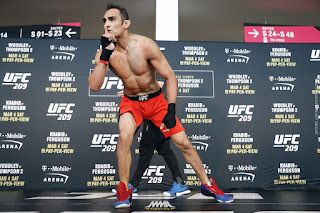 Plus, there’s a wealth of additional challengers waiting in the wings in the likes of Justin Gaethje, Dustin Poirier, Kevin Lee, and others. The potential for new and intriguing matchups is plentiful, and do not have to include McGregor. McGregor’s inclusion immediately makes the division more intriguing, but it doesn’t mean the weight class ceases to exist without him. And in those couple of months we may be witnessing a UFC that decides to move on without its biggest star, but does so to the benefit of the rest of the roster. The promotion has long believed that no one fighter is bigger than the company. Soon, we'll see whether they prove it.